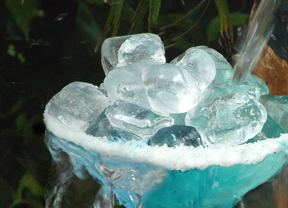 The Blue Kiwi Margarita is an instant classic! Deliciously sweet and tangy, gorgeous in color, and can only be made with Voodoo Tiki Blue Dragon Blue Raspberry and Kiwi Infused Tequila. Try a shot of Blue Dragon while you’re mixing – you’ll be glad you did. Recommended up – Mar-Tiki Style or On The Rocks. 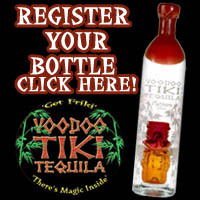 Are you having trouble finding Voodoo Tiki Blue Dragon? You have to know where to look! Directions: Place two 1/4 limes in a mixing glass and muddle well to extract the oils from the lime zest. Add ice. Add all ingredients and shake well for 15 seconds. 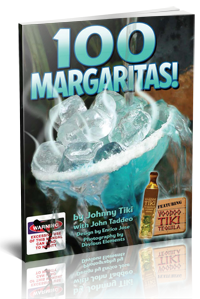 Strain over fresh ice or serve up in a martini glass for “Mar-Tiki” style. Directions: Place two 1/4 limes in a mixing glass and muddle well to extract the oils from the lime zest. Add ice. Add all ingredients and shake well for 15 seconds. 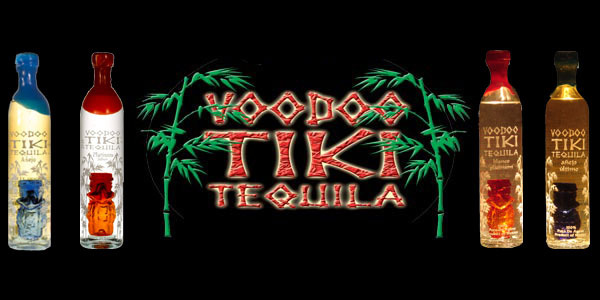 Strain into Voodoo Tiki Shot Glasses (Use Blue Shot Glasses to Release the Power of the Voodoo Tikis.) Serves three.